Ampacet Safari White PET MB 7100177-E meets European guidelines of less than 4% of mineral loading in PET bottles and preserves fresh milk flavour and nutrients even at wavelengths of 400nm – 550nm, the most harmful wavelength range for dairy products. It also is suited for the preservation of ultra-high temperature (UHT) processed milk, which has an unrefrigerated shelf life of six to nine months. Compared with conventional preforms loaded with 10% TiO2, one-litre bottles produced with 6.5% of Ampacet Safari White (less than 4% of mineral loading) perform better in preventing light transmission while allowing throughput increases and reducing the number of IR heating elements. This new technology helps to decrease energy consumption and the overall environmental impact of preform stretch-blow moulding operations. Due to cost-effectiveness and better recyclability, more and more mono-layer PET bottles are used to package dairy drinks. Opacifiers provide light barrier properties, and the most commonly-used one is titanium dioxide (TiO2). 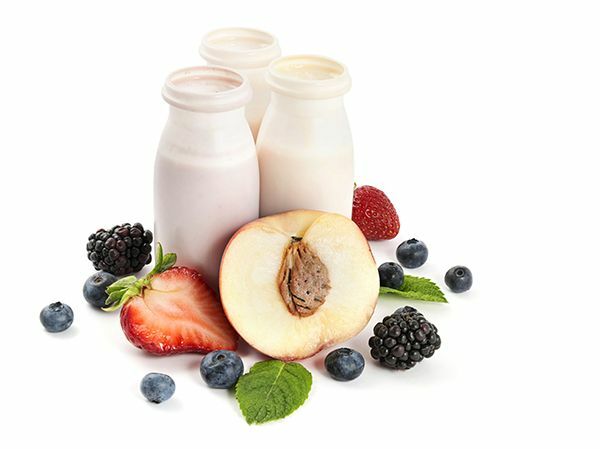 For ultra-high temperature processed (UHT) milk, which has a typical unrefrigerated shelf life of six to nine months, up to 12-15% of opacifiers usually are mixed with the PET polymer to achieve bottle opacity of greater than 99.5%. The fast-growing market of opaque PET impacts the recyclability of the collected PET packaging in Europe. In fact, having a large number of opacifiers in the collected PET stream reduces both the quality of recycled PET and its usability for transparent applications. To minimise minerals in recycled PET collected, a malus-tax has been introduced in some countries, such as France, for opaque PET packaging containing more than 4% of mineral opacifiers. All PET containers holding more than 4% of mineral opacifiers are subject to a malus-tax.